There’s an element of determinism in our master naturalist studies: if we are good stewards of the land and water, if we respect our fellow creatures and organisms, we all stand a better chance of surviving. It’s true, of course, but in Wonderful Life (1989, 323 pp) Stephen Jay Gould guides us through the murkier parts of the algorithm: sometimes it’s not entirely up to us, even in an Anthropocene era. Sometimes, natural contingencies determine what survives and what doesn’t. 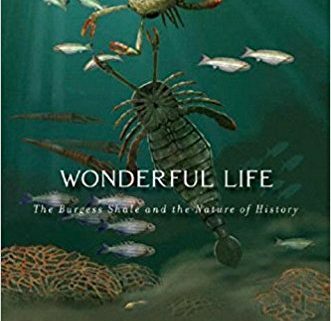 The wonderful life of the title refers to the 500-million-year-old fossilized creatures of the Burgess Shale marine ecosystem in British Columbia. 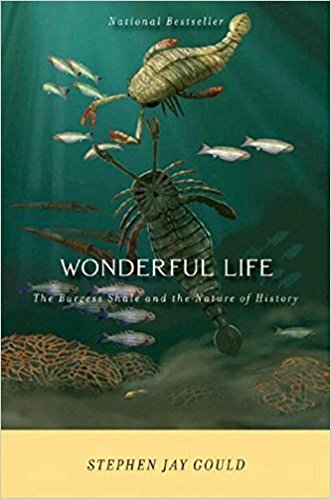 Unearthed in the early 19th century, the remains of some truly unusual creatures (look at opabinia, for example, or hallucigenia) still fascinate scientists, paleobiologists, naturalists, and other folks curious about evolution. Why didn’t these creatures make it? According to Gould, it may have less to do with fitness than with fate: the area appears to have been buried by mudslides during the advent of the Rocky Mountains. No, Gould is not anti-Darwin; he’s added a corollary, which is as fascinating as it is contested. Why is the book worth your time? He’s a superb storyteller, able to discuss the facts of life with lucid grace. You will neither suffer nor fall asleep, and the line drawings are worthy of emulation as we head into the field ourselves. Gould is one of a small group of scientists who’ve chosen to make complex material accessible to the public, with a generous lack of ego. I also recommend his The Lying Stones of Marrakech and Crossing Over: Where Art and Science Meet, equally wonderful collections. As you choose your own life’s work as a naturalist and begin to share your stories, staring at one of the forks in life’s path is not a bad place to start.